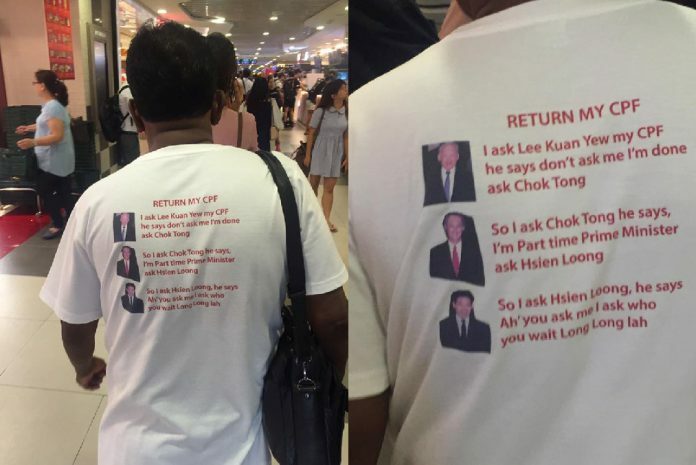 A picture of a man publicly wearing a bold T-shirt calling for the authorities to return his Central Provident Fund (CPF) savings has been going viral online. The picture first surfaced on Reddit before making its way to social media websites like Facebook and Twitter. The picture of the bold T-shirt is circulating online as issues over CPF’s withdrawal age, payout mechanism and contribution rates have come to the forefront in recent weeks. 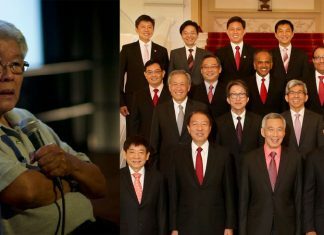 Just yesterday, the People’s Action Party Senior Group (PAP.SG) released a 21-page position paper calling for higher CPF contribution rates for senior citizens. The group is calling for the contribution rate for workers aged 55 and older to be raised to 37 per cent.